The present study was planned to investigate the protective effects of herbal methanol extracts of Hypericum perforatum (HP) and Urtica dioica (UD) and herbal agueous extract of Camelia sinensis (CS)-containing antioxidants on carbon tetrachloride (CCl4)-induced hepatic injury and lymphocyte DNA damage. Adult male albino rats (n 50) were separated into five groups of ten each, as follows: control group; CCl4 group; CCl4+HP extract group; CCl4+UD extract group; CCl4+CS extract group. All extract groups were fed with 200 mg kg-1 extracts of HP, CS and UD, respectively once every alternate day for 7 weeks. CCl4 injections were applied to the CCl4 and extract groups at the dose of 0.4 mL kg-1. Malondialdehyde, total oxidant status and total antioxidative capacity levels and catalase, superoxide dismutase and glutathione peroxidase activities were significantly changed in the CCl4 group and indicated increased oxidative stress. The DNA damages detected via commet assay were significantly higher than in the CCl4 group. Treatment by extracts of HP, CS or UD were significantly decreased this oxidative stress and ameliorated lymphocyte DNA damage. These results indicate that the herbal extracts of HP, UC and CS have beneficial effects on liver and lymphocyte DNA damage induced by CCl4 probably due to their antioxidant properties. M. Bitiren, D. Musa, A. Ozgonul, M. Ozaslan, A. Kocyigit, O. Sogut , Muhammet E. Guldur, I.H. Kilic, Ali Z. Karakilcik and M. Zerin, 2010. Protective Effects of Green tea (Camelia sinensis), Hypericum perforatum and Urtica dioica on Hepatic Injury and Lymphocyte DNA Damage Induced by Carbon Tetrachloride in Wistar Rats. International Journal of Pharmacology, 6: 241-248. Administration of single or repeated dose of CCl4 in rats is one of the most common methods to investigate the mechanism of hepatic injury. This model has been implemented in various studies for the deposition of extracellular matrix in the fibrotic and cirrhotic liver (Luckey and Petersen, 2001; Mansour et al., 2001; Nakade et al., 2002). The liver is an important target organ for CCl4 and the hepatocytes which can be damaged by haloalkane free radicals produced during biotransformation of CCl4 (Comporti, 1985; Biasi et al., 1991; Weber et al., 2003; Ozardali et al., 2004). Herbal medicines derived from plant extracts are being increasingly used to treat various diseases (Amutha et al., 2010). They are also used in the management of liver injury due to various factors such as toxification or infection of the oriental societies (Bailey and Day, 1989; Banskota et al., 2000; De Feudis et al., 2003; Takeoka and Dao, 2003). Hypericum perforatum (HP) or St. John's wort belongs to Clusiaceae family that is widely used for the treatment of various disorders such as depression, anxiety or nervousness. Camelia sinensis L. (CS) belongs to Theaceae family which is a beverage of green tea and very popular in all over the world. Urtica dioica L. (UD) belongs to Urticaceae family that is widely used in folk medicine in cancer therapy, inflammatory and rheumatical diseases (Weisburger et al., 1997; Thangapazham et al., 2007). The composition of HP, CS and UD include antioxidant substances such as flavonoids and phenolic acids which may prevent oxidative damage in cells and tissues (Konrad et al., 2000). Moreover, it has been reported that some herbal extracts may reduce the liver injury induced by CCl4 probably due to their antioxidant nutrient (Thangapazham et al., 2007; Konrad et al., 2000; Zhang et al., 1996). Therefore, the present study was designed to investigate the possible protective effects of herbal methanol extracts of Hypericum perforatum (HP) and Urtica dioica (UD) and herbal agueous extract of Camelia sinensis (CS)-containing antioxidants on carbon tetrachloride (CCl4)-induced hepatic injury and lymphocyte DNA damage. Plant materials and extraction procedure: The aerial parts of the HP, CS (Green tea) and UD stinging herb were purchased from herbal shop in Sanliurfa,Turkey. The specimens were authenticated by a plant taxonomist and the voucher specimen under No. 127P, 128D, 129S, respectively were kept at the Department of Biology, Faculty of Art and Science for future references. The dried aerial parts of each specimen were well selected, cleaned and powdered via an electrical mill. The methanol extracts of HP and UP were sited in a soxhlet apparatus containing methanol (yield 9.5%) overnight. After that, they were extracted with rotary evaporator and dried with lyofilization equipment. Experimental design: A protocol for investigation of the protective effects of herbal methanol extracts of Hypericum perforatum (HP) and Urtica dioica (UD) and herbal agueous extract of Camelia sinensis (CS)-containing antioxidants on carbon tetrachloride (CCl4)-induced hepatic injury and lymphocyte DNA damage was introduced on November 2008. The study was approved by Ethics Board of Harran University, School of Medicine in accordance with the Helsinki Declaration. Fifty adult and healthy male albino rats weighing 225±25 g were inserted in the study. The rats were divided into five equal groups (n = 10), housed individual in polyacrylic cages with stainless covers under standard laboratory conditions (12/12 light/dark period, 22±2°C, rat chow pellets and tap water freely available). All rats were cared according to the National Academy of Sciences. Fifty adult and male albino rats were divided into five groups of ten each, as follows: control group; CCl4 group; CCl4+HP extract group; CCl4+UD extract group; CCl4+CS extract group. CCl4 (MerckR) diluted with olive oil 1/4 v/v (SigmaR) injections were applied i.p to the control and extract groups at the dose of 0.4 mL kg-1. After seven weeks of administration with CCl4, all extract groups were fed with 200 mg kg-1 extracts of HP, CS and UD by orogastric gavage, respectively once every alternate day for 7 weeks. At the end of the study, animals were fasted overnight; the blood samples were collected by heart puncturing and poured into a heparinized tube. All of the rats were sacrificed after ether anesthesia. The abdomen of rats were immediately opened. After that, the livers were removed and divided into the different of two parts. The first part was stored at -80°C for subsequent biochemical analyses and the second was fixed into 10% normal formalin over the subsequent 24 h for histopathological examination. Histopathological evaluation: The fixed portions of the livers were washed to remove the excess of formalin which were dehydrated in graduated ethyl alcohol, cleared in xylol, embedded in paraffin (Paraplast FlukaR) and sectioned as 3-5 μM. The sections were stained with haematoxylin-eosin (H and E) and Massons trichrome for evaluation of the histopathological changes. The evaluation of the liver biopsies were performed by conventional light microscopy and a blinded pathologist examiner. The degree of necrotic and fibrotic changes within the periportal tracts and lobules of the liver tissues were assessed according to the method of Zhang et al. (1996). In this method, four grades were recognized ranging from 0-3 as follows: 0 (none), no fibrosis and normal liver architecture; I (mild), fatty degenerations around portal areas and central veins, fibrosis increased in portal areas and sinusoidal space; II (moderate), thin fibrous septa present connecting portal areas; and III (severe), thick fibrous septa and collagen bands accompanied by pseudo lobules. DNA damage determination by alkaline comet assay: In the study, samples were processed within 2 h. Lymphocyte isolation for comet assay was performed using Lymphoprep (Amerco, Axis-Shield, Oslo, Norway). An amount of 1 mL of heparinized blood was carefully layered over 1 mL of lymphoprep and centrifuged for 35 min at 25°C, 500x g. The interface band containing lymphocytes were washed twice with Phosphate-Buffered Saline (PBS) and then collected by 15 min for centrifugation at 400x g. The cell pellets were resuspended in a small volume of PBS to obtain approximately 2x104 cells/200 μL. Membrane integrity was assessed by means of trypan blue exlusion method and revealed membrane integrity in 95% of cells. Comet assay was performed according to Singh et al. (1988). Ten microliters of lymphocyte suspension (around 2x104 cells) were mixed with 80 mL of 0.7% low-melting agarose in PBS at 37°C. Subsequently, 80 mL of mixture was layered onto a slide pre-coated with thin layers of 1% normal melting point agarose and immediately covered with cover slip. Slides were left for 5 min at 4°C to allow the agarose to slidfy. After removing the cover slips, the slides were submersed in freshly prepared cold (4°C) lysing solution (2.5 M NaCl, 100 mM ethylenediaminetetraacetic ascid-disodium salt, 10 mM Tris-HCl, pH 10-10.5, 1% Triton X-100) and 10% dimethy sulphoxide added just before use for at least 1 h. Slides were then immersed in freshly prepared alkaline electrophoresis buffer (0.3 mol L-1 NaOH and 1 mmol L-1 ethylenediamine tetaaceticacid acid-disodium salt pH>13) at 4°C for separation of DNA (50 min) and electrophoresed (300 mA, 25 min). All the steps were carried out under minimal illumination. After electrophoresis, the slides were stained with ethidium bromide (2 mL mL-1 in H2O; 70 mL slide-1), covered with cover slip and analyzed using a fluorescence microscope (Olympus, Japan). Images of 100 randomly selected cells (50 cells from each of two replicate slides) were analyzed visually from each subject. 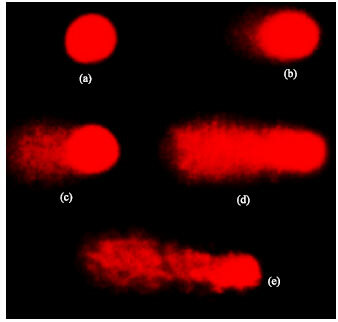 Each image was classified into five categories according to the intensity of the fluorescence in the comet tail and given a value of 0, 1, 2, 3 or 4 (from undamaged class 0 to maximally damaged class 4). The extent of DNA damage was expressed between 0 and 400 arbitrary unit (Collins, 2004). Biochemical analysis in plasma: Blood samples, alanine aminotransferase (ALT), aspartate aminotransferase (AST), alkaline phosphatase (ALP) and lactate dehydrogenase (LDH) activities were measured by commercially available kits using an autoanalyser (Aeroset® Abbott Laboratories, Chicago). Measurement of TAC and TOS in liver tissues: Total Antioxidative Capacity (TAC) and Total Oxidant Status (TOS) of supernatant fractions were measured using a novel automated measurement method developed by Erel (2004, 2005). The results of TAC and TOS activities are expressed in terms of mmol Trolox Equiv. g-1 protein and μmol H2O2 Equiv. g-1 protein, respectively. Percent ratio of TOS level to TAC level was accepted as Oxidative Stress Index (OSI). The index was calculated according to the following formula by Horoz et al. (2006). Determination of MDA, CAT, SOD and GSH-Px activities in liver tissues: Liver catalase (CAT) activity was determined by Goths colorimetric method, in which supernatant was incubated in H2O2 substrate and the enzymatic reaction was stopped by the addition of ammonium molybdate. The intensity of the yellow complex formed by molybdate and H2O2 that was measured at 405 nm (Goth, 1991). Superoxide dismutase (SOD) activity was determined using a measurement method developed by McCord and Fridovich (1969). This method is based on the generation of superoxide radicals produced by xanthenes and xanthenes oxidase, which react with 2-(4-iodophe nyl)-3-(4- nitrophenol)-5-phenyltetrazolium chloride (INT) to form a red formazan dye. SOD activity was expressed as units per gram protein. Glutathione peroxidase (GSH-Px) activity was measured on standard assay conditions in 340 nm (absorbance) and at 37°C according to the method developed by Paglia and Valentine (1967). In this measurement, GSH-Px catalyzes the oxidation of glutathione by cumene hydroperoxide. Measurements were performed by an autoanalyzer (Aeroset® Abbott Laboratories, Chicago) according to the Randox application procedure. GSH-Px activity was expressed as units per gram protein. Lipid peroxidation (LPO) was evaluated by the spectrofluorometric method based on the reaction between malondialdehyde (MDA) and thiobarbutiric acid (Conti et al., 1991). Statistic analysis: Data were expressed as Mean±SD. All the statistical analysis were performed using SPSS 11.0 (SPSS Inc., Chicago, Illinois). Kruskal Wallis tests were used for one-way Analysis of Variance (ANOVA) and post hoc test, bonferroni respectively (Kruskal and Wallis, 1952). Differences between groups and pathological scoring values were compared by χ2 (Chi-Square) test. Differences on statistical analysis of data were considered significant at p<0.05. The level of serum liver enzymes (ALT, AST, ALP and LDH) were found to be significantly increased in CCl4 group when compared with the control group (p<0.01). A significant increase of the liver enzymes in the plasma was occurred after carbon tetrachloride administration alone, which was significantly lowered by treatment with the herbal extracts of HP, CS and UD (p<0.01) (Table 1). The value of TOS and the activity of MDA in the liver tissue were decreased (p<0.01, p<0.05 respectively) by the treatment of HP, CS and UD than that of the administration with CCI4. The values of TAC and OSI and the activities of CAT, SOD and GSH-Px in the liver tissue were increased (p<0.01) by the treatment of HP, CS and UD than that of the CCI4 group (Table 2). DNA damage in rats treated by CCI4 were significantly higher than rats treated by the herbal extracts of HP, CS and UD (p<0.01) (Table 2, Fig. 1). Histopathological examination of liver sections in untreated control group were evaluated as a normal histology (Fig. 2a). It was showed a typical fibrotic and cirrhotic appearance caused by the effects of CCl4 in about 80% of the rats liver biopsies. Broad fibro-collagen septa was bridged around portal areas and extended from central regions to portal areas or pseudo lobule formation without central vein (Fig. 2b, c). In the extract groups, the liver sections obtained from rats were showed consistent reduction regarding fibrotic or cirrhotic process compared to the CCl4 group. These specimens showed more regular liver architecture, in which only thin fibrous bands were seen to connect portal areas (Fig. 2d-f). Histopathological grading of liver was showed sever fibrosis in CCl4 treated group and less fibrosis in groups treated with HP, CS and UD (Table 3). Repeated intraperitoneal administration of CCl4 can cause the formation of free radicals that generate the oxidative damage of lipids, lipoproteins or other biochemical parameters such as enzymes, nucleic acids (Comporti, 1985). Damage of these components may be an important factor on the pathogenesis of different liver diseases. CCl4 is metabolized in mixed function oxidase system utilizing the nicotinamide adenine dinucleotide phosphate (NADPH)-cytocrome P-450 electron transport chain at the level of the hepatic smooth of endoplasmic reticulum (Biasi et al., 1991). It may occur the hemolytic cleavage during formation of the haloalkane free radicals such as trichloro-methyl radical (CCl3) and trichloro-methyleperoxy radical (CCl3O2) (Biasi et al., 1991; Weber et al., 2003). These free radicals may bind to cellular macromolecules, so that they can react with free amino groups on proteins and then the macromolecules may lose their physiological functions (Garcia et al., 2004; Mac Cay et al., 1984). This process may play an important role in increasing of functional enzymes such as AST, ALT, ALP and LDH (Bailey and Day, 1989; Yu et al., 2002). On the other hand, carbon tetrachloride has been shown to induce liver injury which closely looks like cirrhosis (Johnston and Kroening, 1998; Terblanche and Hickman, 1991). In our study, we were determined that intraperitoneal injection of CCl4 (0.4 mL kg-1 b.wt.) elevated levels of oxidative stress, total oxidant status and liver enzymes. MDA constitutes an important link between tissue injuries and liver fibrosis. It is postulated that primary mechanism link of CCl4 is widely due to its active metabolite CCl3. Radicals (Weber et al., 2003; Parola et al., 1993). It has been reported that CCl3 radicals are one of the highly reactive species which react with cellular components such as lipids and lipoproteins (Srivastava et al., 1990; Yau-Huei and Hsin-Chen, 2002). The enzymatically antioxidant defense systems are natural protective barriers against free radicals. The SOD and CAT are important scavengers of superoxide ion and H2O2. These enzymes prevent the generation of hydroxyl radicals and protect the cellular constituents from oxidative damage during biotransformation of CCI4 (Weisburger et al., 1997). The methanolic extract of Ginko biloba has been administered to the rats against the liver damage caused by CCl4. It was determined that increased the activities of GSH-Px (De Feudis et al., 2003). In addition, Capparis decidua had increased the activities of SOD, CAT, GSH-Px in diabetic rats (Yadav et al., 1997). In our study, it was observed that treatment by extracts of HP, CS or UD with herbal caused a significant increase in the levels of TAC and antioxidant enzyme activities. The antioxidant enzyme activities such as GSH-Px, SOD, CAT in the CCl4 damaged liver of rats were scavenged and prevented the reactive free radicals. Thus, the oxidative damage to the tissues was reduced. The liver cells innate ability to awake and maintain defense against oxidants by secreting more antioxidants. In addition, the cells are overpowered by the oxidative stress or damage caused by CCl4. GSH-Px is an intracellular reductant enzyme which plays a major role in catalysis, metabolism or transport. It protects cells against free radicals and drug toxification. Furthermore, it is known that the reduction of GSH-Px in living organisms may cause tissue injury (Jollow, 1980). Thus, the administration of CCl4 elicit a hepatotoxic affect which decreases GSH-Px and increases the LPO level in the liver tissues of rats (Luckey and Petersen, 2001). However, in a study, ıt has been demonstrated that GSH-Px level could be elevated in rats which pretreated with hepatoprotective Nigella sativa (Mansour et al., 2001). Similarly, in our study the liver GSH-Px content was reduced in the CCl4-administered rats and it was significantly enhanced after the treatment by the extracts of HP, CS and UD that confirmed its capacity of removing free radicals and reducing peroxidation. Treatment with the extracts HP and CS overpower the onslaught by suppressing the formation of reactive oxygen species and protecting the antioxidant mechanism. Meanwhile, treatment with UD can arrest the hepatocytes from proliferation due to its activity in prevention mitosis of hepatocytes (Konrad et al., 2000). There are no more information related to the hepatoprotective effects of Hypericum perforatum and Urtica dioica. However, many investigations depended on the antidepressant activity of HP and treatment of prostatic carcinoma by UD (Cvejic et al., 2007; Lichius and Muth, 1997). It has been noted that silymarin and garlic has synergistic effect and could be used as hepatoprotective agents against hepatotoxicity (Shaarawy et al., 2009). Previously investigations have been reported that green tea had antioxidant effect and chemopreventive activity against CCl4-induced by lipid peroxidation in liver (Giardiello, 1996). It has been shown that excessive lipid peroxidation accompanied increase in ALT, AST, ALP and LDH levels and decrease in antioxidant levels (Chen et al., 2006). Our studys main findings also have demonstrated harmony with the findings of previous researches mentioned above. In our study, while the treatments with the herbal extracts of HP, CS and UD were decreased the elevation of MDA and liver enzyme levels, administration of CCl4 increased the oxidative stress and lymphocyte DNA damage. Treatment by extracts of HP, CS or UD were significantly decreased OSI and ameliorated lymphocyte DNA damage. Meanwhile, hepatocellular degenerative and necrotic changes were very low without advanced fibrosis and cirrhotic process in HP, CS, also in UD treated groups (Table 3, Fig. 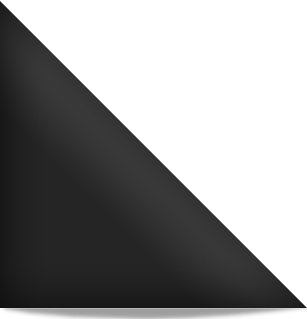 2d-f). HPLC analysis of green tea (CS) has shown that it is composed of several polyphenols (as much as 30% by dry weight), most of which are catechins as epigallocatechin galbate (15.1%), epigalbocatechin (6.9%), epicatechin gallate (3.0%), epicatechin (1.8%) and caffeine (8.1%) (Shim et al., 1995). Polyphenol constituents of CS and its preventive mechanism remain to be defined. The catechins are known free radical scavengers; galbocatechins and the catechin gallates exhibit the strongest antioxidant properties (Uchida et al., 1987). Furthermore, all catechins significantly inhibit cytochrome P-450-dependent monooxygenase(s). On the basis of the structure-activity relationship between epicatechins, epigallocatechin gallate is the most potent inhibitor, suggesting that the galloyl or hydroxyl groups may bind to a cytochrome P-450 catalytic site and interfere with the activation of precarcinogens (Wang et al., 1988). The protective effects of CS may be attributed to interaction of polyphenolic catechins with cytochnome P-450 monooxygenase(s) or scavenging of reactive oxygen species by catechins to prevent the harmfull effects of CCl4 at critical target sites in the liver. These considerations are in accordance with the results of the studies showing the interaction of polyphenolic catechins with cytochrome P-450-dependent monooxygenase(s) or scavenging of reactive oxygen species (Shim et al., 1995; Wang et al., 1988; Bray et al., 2002). Urtica dioica has been successfully used for the management of benign disorders in traditional medicine in China, India, Turkey and Europa. Lymphocytes play a crucial role in the generation of the immune response. Urtica dioica extract stimulate moderately proliferation and proportion of lymphocyte, without using any kind of mitogen. Immunostimulation may be responsible for the traditional usage of the aerial parts of UD. Its protective effects have been attributed to its phyto-chemicals containing lignans, flavonoids, polysaccharides, lectins and steroids. These phyto-chemicals may play a significant role in cells and tissues as antioxidants and other constituents interaction (Harput et al., 2005). Clinical trials have provided evidence of cytocrome P4503a (CYP3A) induction by St. John's Wort (SJW) extracts. Many of the case studies or clinical trials report interaction of SJW and drugs which are substrates of CYP3A. Therefore, potential interaction between SJW and theophylline (a substrate metabolized by both CYP3A and CYP1A) has also been reported. The effect of SJW on the other isoform of hepatic CYP450 is also important. Bioactive components of HP cantains the hiperforin, adhyperpforin and hypericin which are responsible for its therapeutic effects. It was detected that HP-ingestion caused a decrease in the plasma concentrations of various drugs metabolized by CYP3A (Bray et al., 2002). The preventive effects of HP and theophylline may be attributed to interaction of polyphenolic catechins with cytochnome P-450 monooxygenase(s) or scavenging of reactive oxygen species by catechins to prevent the harmfull effects of CCl4 at critical target sites in the liver. These observations resemble with the results of the investigations performed with CS (39), HP (41), UD (43), nigella sativa and vitamins (Shim et al., 1995; Wang et al., 1988; Harput et al., 2005; Turkdogan et al., 2001). In conclusion, we suggest that the herbal extracts of Hypericum perforatum, Urtica dioica and Camelia synensis have beneficial effects on CCl4-induced liver and lymphocyte DNA damage. The protective benefits of these herbal extracts may be due in part to their potent antioxidant properties and ability to reduce oxidative stress. They should be given over a significant period to reduce the risk of hepatic damage caused by free radicals. Thus, these antioxidant herbals may be used for protective purpose which exposed to hepatotoxic agents. However, further researches are required to better understand the relationship between the hepatotoxicity and protective effects of herbal antioxidants. Amutha, M., R. Arunachalam, M. Umamaheswari, A. Usharamalakshmi, S. Ramakrishnan and G. Annadurai, 2010. Medicinal use of Camellia sinensis on lactose intolerance. J. Biol. Sci., 10: 1-5. Bailey, C.J. and C. Day, 1989. Traditional plant medicines as treatments for diabetes. Diabetes Care, 12: 553-564. Banskota, A.H., Y. Tezuka, I.K. Adnyana, Q.B. Xiong and K. Hase et al., 2000. Hepatoprotective effect of combretum quadrangulare and its constituents. Biol. Pharm. Bull., 23: 456-460. Biasi, F., E. Albano, E. Chiarpotto, F.P. Corongiu and M.A. Pronzato et al., 1991. In vivo and in vitro evidence concerning the role of lipid peroxidation in the mechanism of hepatocyte death due to carbon tetrachloride. Cell Biochem. Funct., 9: 111-118. Bray, B.J., N.B. Perry, D.B. Menkes and R.J. Rosengren, 2002. St John`s wort extract induces CYP3A and CYP2E1 in the swiss webster mouse. Toxicol. Sci., 66: 27-33. Chen, H., X. Yan, P. Zhu and J. Lin, 2006. Antioxidant activity and hepatoprotective potential of agaro-oligosaccharides in vitro and in vivo. Nutr. J., 5: 31-31. Collins, A.R., 2004. The comet assay for DNA damage and repair: Principles, applications and limitations. Mol. Biotechnol., 26: 249-261. Comporti, M., 1985. Lipid peroxidation and cellular damage in toxic liver injury. Lab. Invest., 53: 599-623. Conti, M., P.C. Morand, P. Levillain and A. Lemonnier, 1991. Improved fluorimetric determination of malondialdehyde. Clin. Chem., 37: 1273-1275. Cvejic, J., T. Karanovic, M. Simig, M. Atanackovic, S. Raskovic and V. Jakovijevic, 2007. Effects of Hypericum perforatum oil extract on pentobarbital induced sleeping time. Planta Med., 73: 797-1034. De Feudis, F.V., V. Papadopoulos and K. Drieuk, 2003. Ginkgo biloba extracts and cancer. Fundam. Clin. Pharmacol., 17: 405-417. Erel, O., 2004. A novel automated method to measure total antioxidant response against potent free radical reactions. Clin. Biochem., 37: 112-119. Erel, O., 2005. A new automated colorimetric method for measuring total oxidant status. Clin. Biochem., 38: 1103-1111. Garcia, O., T. Mandina, A.I. Lamadrid, A. Diaz and A. Remigio et al., 2004. Sensitivity and variability of visual scoring in the comet assay. Results of an inter-laboratory scoring exercise with the use of silver staining. Mutat. Res., 556: 25-34. Giardiello, F.M., 1996. Nonsteroidal antiinflammatory drugs and colorectal cancer chemoprevention. Proc. Am. Assoc. Can. Res., 37: 656-656. Goth, L., 1991. A simple method for determination of serum catalase activity and revision of reference range. Clinica Chimica Acta, 196: 143-151. Harput, U.S., I. Saracoglu and Y. Ogihara, 2005. Stimulation of lymphocyte proliferation and inhibition of nitric oxide production by aqueous Urtica dioica extract. Phytother. Res., 19: 346-348. Horoz, M., C. Bolukbas, F.F. Bolukbas, M. Aslan, A.O. Koylu, S. Selek and O. Erel, 2006. Oxidative stress in hepatitis C infected end-stage renal disease subjects. BMC Infect Dis., 14: 114-114. Johnston, D.E. and C. Kroening, 1998. Mechanism of early carbon tetrachloride toxicity in cultured rat hepatocytes. Pharmacol. Toxicol., 83: 231-239. Jollow, D.J., 1980. Glutathion thresholds in reactive metabolite toxicity. Arch. Toxicol. Suppl., 3: 95-110. Konrad, L., H.H. Muller, C. Lenz, H. Laubinger, G. Aumuller and J.J. Lichius, 2000. Antiproliferative effect on human prostate cancer cells stinging nettle root (Urtica dioica) extract. Planta Med., 66: 44-47. Kruskal, W.H. and W.A. Wallis, 1952. Use of ranks in one-criterion variance analysis. J. Am. Stat. Assoc., 47: 583-621. Lichius, J.J. and C. Muth, 1997. The inhibiting effect of Urtica dioica root extracts on experimentally induced prostatic hyperplasia in the mouse. Planta Med., 63: 307-310. Luckey, S.W. and D.R. Petersen, 2001. Activation of Kupffer cells during the course of carbon tetrachloride-induced liver injury and fibrosis in rats. Exp. Mol. Pathol., 71: 226-240. Mac Cay, P.B., E.K. Lai and J.L. Poyer, 1984. Oxygen-and carbon-centered free radical formation during carbon tetrachloride metabolism observation of lipid radical in vivo and in vitro. J. Biol. Chem., 259: 2135-2143. Mansour, M.A., O.T. Ginawi, T. El-Hudiyah, A.S. El-Khatib, O.A. Al-Shabanah and H.A. Al-Sawaf, 2001. Effects of volatile oil constituents of Nigella sativa on carbon tetrachloride induced hepatotoxicity in mice. Res. Commun. Mol. Pathol. Pharmacol., 110: 239-251. McCord, J.M. and I. Fridovich, 1969. Superoxide dismutase: An enzymic function for erythrocuprein (Hemocuprein). J. Biol. Chem., 244: 6049-6055. Nakade, Y., M. Yoneda, K. Nakamura, I. Makino and A. Terano, 2002. Involvement of endogenous CRF in carbon tetrachloride-induced acute liver injury in rats. Am. J. Physiol. Regul. Integr. Comp. Physiol., 282: R1782-R1788. Ozardalı, I., M. Bitiren, Z. Ali Karakilcik, M. Zerin, N. Aksoy and D. Musa, 2004. Effects of selenium on histopathological and enzymatic changes in experimental liver injury of rats. Exp. Tox. Path., 56: 59-64. Paglia, D.E. and W.N. Valentine, 1967. Studies on the quantitative and qualitative characterization of erythrocyte glutathione peroxidase. J. Lab. Clin. Med., 70: 158-169. Parola, M., M. Pinzani, A. Casini, E. Albano, G. Poli, A. Gentilini and P. Gentilini, 1993. Stimulation of lipid peroxidation or 4-hydroxynonenal treatment increases procollagen 11(1) gene expression in human fat-storing cells. Biochem. Biophys. Res. Comm., 194: 1044-1050. Shaarawy, S.M., A.A. Tohamy, S.M. Elgendy, Z.Y.A. Elmageed and A. Bahnasy et al., 2009. Protective effects of garlic and silymarin on NDEA-induced rats hepatotoxicity. Int. J. Biol. Sci., 5: 549-557. Shim, J.S., M.H. Kang, Y.H. Kim, J.K. Roh, C. Roberts and I.P. Lee, 1995. Chemopreventive effect of green tea (Camellia sinensis) among cigarette smokers. Cancer Epidemiol. Biomarkers Prev., 4: 387-391. Singh, N.P., M.T. McCoy, R.R. Tice and E.L. Schneider, 1988. A simple technique for quantitation of low levels of DNA damage in individual cells. Exp. Cell Res., 175: 184-191. Srivastava, S.P., N.O. Chen and J.L. Holtzman, 1990. The in vitro NADPH-dependent inhibition by CCl4 of the ATP-dependent calcium uptake of hepatic microsomes from male rats. Studies on the mechanism of the inactivation of the hepatic microsomal calcium pump by the CCl3.radical. J. Biol. Chem., 265: 8392-8399. Takeoka, G.R. and L.T. Dao, 2003. Antioxidant constituents of almond [Prunus dulcis (Mill.) D.A. Webb] Hulls. J. Agric. Food Chem., 51: 496-501. Terblanche, J. and R. Hickman, 1991. Animal models of fulminant hepatic failure. Dig. Dis. Sci., 36: 770-774. Thangapazham, R.L., A.K. Singh, A. Sharma, J. Warren, J.P. Gaddipati and R.K. Maheshwari, 2007. Green tea polyphenols and its constituent epigallocatechin gallate inhibits proliferation of human breast cancer cells in vitro and in vivo. Cancer Lett., 245: 232-241. Turkdogan, M.K., Z. Agaoglu, Z. Yener, R. Sekeroglu, H.A. Akkan and M.E. Avci, 2001. The role of antioxidant vitamins (C and E), selenium and Nigella sativa in the prevention of liver fibrosis and cirrhosis in rabbits: New hopes. Dtsch. Tierarztl. Wochenschr., 108: 71-73. Uchida, S., R. Edamatsu, M. Hiramatsu, A. Mori and G. Nonaka et al., 1987. Condensed tannins scavenge oxygen free radicals. Med. Sci. Rex., 15: 831-832. Wang, Z., Y. Das, M.D.R. Bickers and H. Mukhtar, 1988. Interaction of epicatechins derived from green tea with rat hepatic cytochrome P-450. Drug. Metab. Dispos. Biol. Fate Chem., 16: 98-103. Weber, L.W., M. Boll and A. Stampfl, 2003. Hepatotoxicity and mechanism of action of haloalkanes: Carbon tetrachloride as a toxicological model. Crit. Rev. Toxicol., 33: 105-136. Weisburger, J., A. Rivenson, K. Garr and C. Aliaga, 1997. Tea, or tea and milk, inhibit mammary gland and colon carcinogenesis in rats. Cancer Lett., 114: 323-327. Yadav, P., S. Sarkar and D. Bhatnagar, 1997. Action of Capparis decidua against alloxan-induced oxidative stress and diabetes in rat tissues. Pharmacol. Res., 36: 221-228. Yau-Huei, W. and L. Hsin-Chen, 2002. Oxidative stress, mitochondrial DNA mutation and impairment of antioxidant enymes in aging. Exp. Biol. Med., 227: 671-682. Yu, C., F. Wang, C. Jin, X. Wu, W.K. Chan and W.L. McKeehan, 2002. 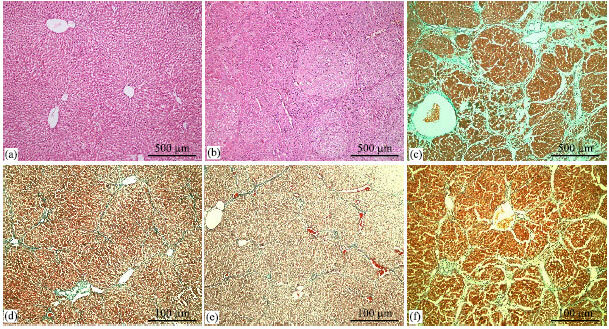 Increased carbon tetrachloride-induced liver injury and fibrosis in FGFR4-deficient mice. Am. J. Pathol., 161: 2003-2010. Zhang, M., G. Song and G.Y. Minuk, 1996. Effects of hepatic stimulator substance, herbal medicine, selenium/vitamin E and ciprofloxacin on cirrhosis in the rat. Gastroenterology, 110: 1150-1155.